Dr. Tuszynski is a Fellow of the National Institute for Nanotechnology of Canada. He is an Allard Chair and Professor in Experimental Oncology in the Department of Oncology at the University of Alberta’s Cross Cancer Institute and a Professor in the Department of Physics. Professor Jack Tuszynski received his M.Sc. with distinction in Physics from the University of Poznan (Poland) in 1980. He received his PhD in Condensed Matter Physics from the University of Calgary in 1983. He was a Post-Doctoral Fellow at the University of Calgary’s Chemistry Department in 1983. 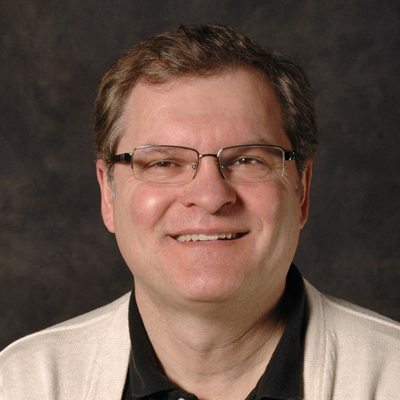 He was an Assistant Professor at the Department of Physics of the Memorial University of Newfoundland from 1983 to 1988, and at the University of Alberta’s Physics Department from 1988 to 1990. He became an Associate Professor from 1990 to 1993 and a Full Professor in 1993. He joined the Division of Experimental Oncology at the Cross Cancer Institute as the Allard Chair in 2005. He is on the editorial board of a number of international journals including the Journal of Biological Physics, Journal of Biophysics and Structural Biology (JBSB), Quantum Biosystems, Research Letters in Physics, Water: a Multidisciplinary Research Journal and Interdisciplinary Sciences-Computational Life Sciences. He is an Associate Editor of The Frontiers Collection, Springer-Verlag, Heidelberg. He had visiting professorships in Germany, Denmark, France, Belgium, Israel and China. He has published over 320 peer-reviewed papers, over 50 conference proceedings, 10 book chapters and 10 books; delivered over 400 scientific talks (including 150+ invited talks) on five continents. His research has been supported by numerous research grants from Canadian, US and European funding agencies. In 2005 he was appointed to the prestigious Allard Research Chair in Oncology at the University of Alberta. The $3 million Chair is supported by the Alberta Cancer Foundation and the Allard Foundation. Dr. Jack Tuszynski heads a multi-disciplinary team creating “designer drugs” for cancer chemotherapy using computational biophysics methods. To make advances in this new promising field of biophysical modeling, Jack Tuszynski drew on his physics background to create computer software programs that screen proteins against chemical compounds to find the perfect match based on the lock and key principle. The goal of Tuszynski’s computational biophysics work is to create optimized drugs that would target cancerous cells with minimal side-effects to the healthy cells. Dr. Tuszynski’s research interests are strongly linked to the protein tubulin and the microtubules assembled from it. These have been studied using methods ranging from simple stochastic models to detailed molecular dynamics computer simulations, as well as through laboratory manipulations of living cells. Due to its prominent role played in eukaryotic cell division, tubulin is an important target for anti-cancer cytotoxic treatments. His on-going research aim is to identify variants of known compounds showing greater tubulin isotype-specific effects. These compounds could potentially lead to more efficacious chemotherapy treatments with lower side effects. The group has also examined microtubule’s biochemical, electrical, structural, and mechanical properties; proteins that bind to microtubules (MAPs); and the motor proteins in cells that travel along microtubules and actin filaments. Over the past few years, one of the main research interests in the Tuszynski lab has been the creation of 3D models of p53 and its mutants as well as a search for activators of its mutants. Several papers on this work have already been published in peer-review journals. His group is also developing physiologically-based models and simulations for pharmacokinetic and pharmacodynamic applications. Currently, he has been focused in his work on the discovery and optimization of novel chemotherapy agents and methods of their administration.